Please select option for ALTERNATIVE APPAREL ECO. All ALTERNATIVE APPAREL garments are made from recycled fibers in an Eco-friendly process. This relaxed fit women's split crew neck features a longer rear panel and a tonal two color screen print. Truly a one of kind garment with roots in fashion. Please select option for ALTERNATIVE APPAREL IDEAL TEE - ECO GREY. We are proud to present this made in USA BLUE 84 Triblend panel racer back tank, fabricated of super soft 50%/37%/13% poly/cotton/rayon. 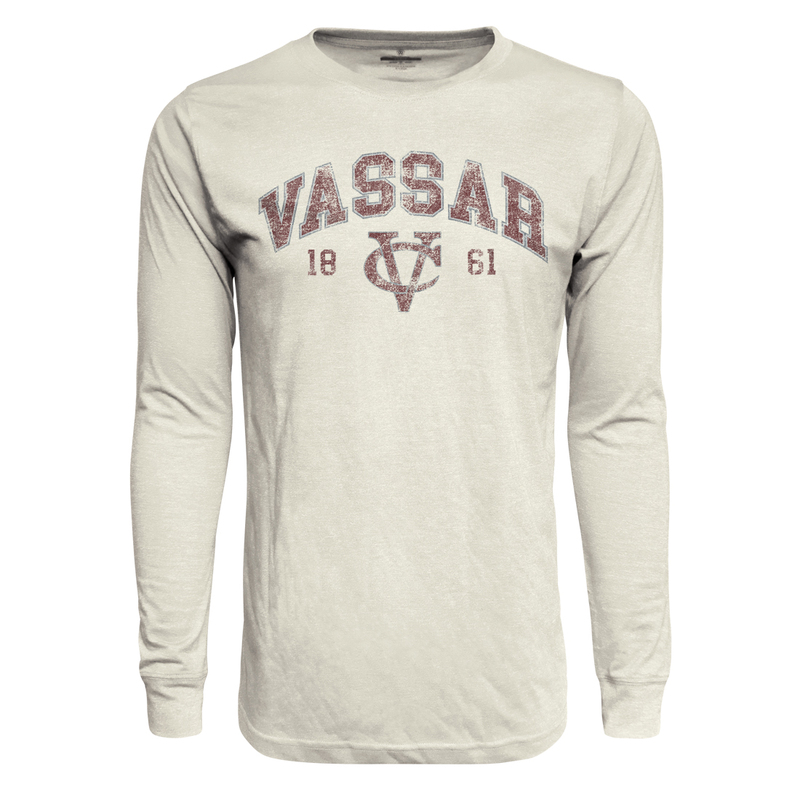 Features a two color screen print of classic Vassar college lettering and the interlocking VC. A very stylish Tank. Please select option for BLUE 84 TRIBLEND PANEL TANK. 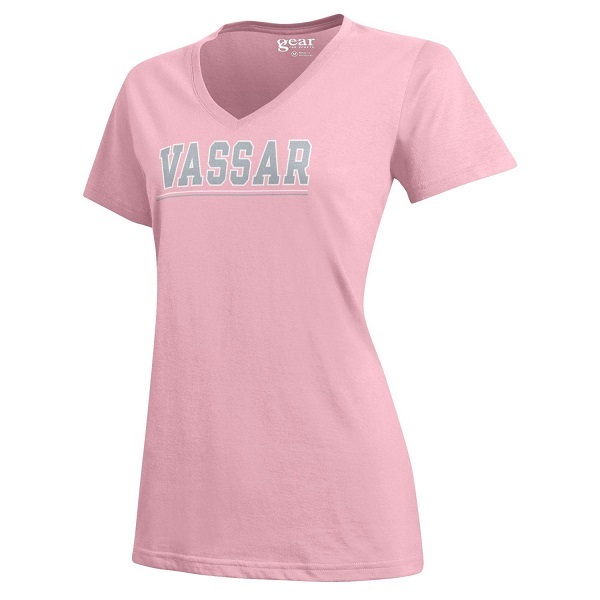 BLUE 84 TRIBLEND TEE GRAY WITH PINK VASSAR LETTERING. 50% POLYESTER 37% COTTON AND 13% RAYON. Please select option for BLUE 84 TRIBLEND TEE. Champion products are by far our top sellers in the college store. This 100% Cotton Tee is so soft and comfortable. 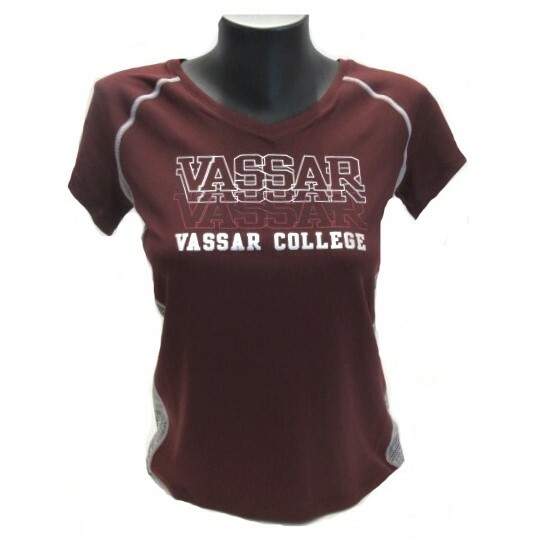 The contemporary logo is complimented by the rich Maroon fabric. I think you'll agree that this is a great value for a cotton rich garment. Please select option for CHAMPION 100% COTTON SS TEE. Please select option for CHAMPION BASIC TSHIRT. Grandpa can get his swag on in this exclusive Champion Granite Gray Tee. A great gift idea, we also have shirts for Mom, Dad and Grandma! Please select option for CHAMPION GRANDPA TEE. Champion products are by far our top sellers in the college store. The Ringspun Cotton Tee is so soft and comfortable. The distressed logo is complimented by the gray fabric. Its a great value and the 60/40 cotton/poly blend will keep this Tee looking and feeling great. Please select option for CHAMPION RINGSPUN TEE. The details on this Tank make for a very special top. 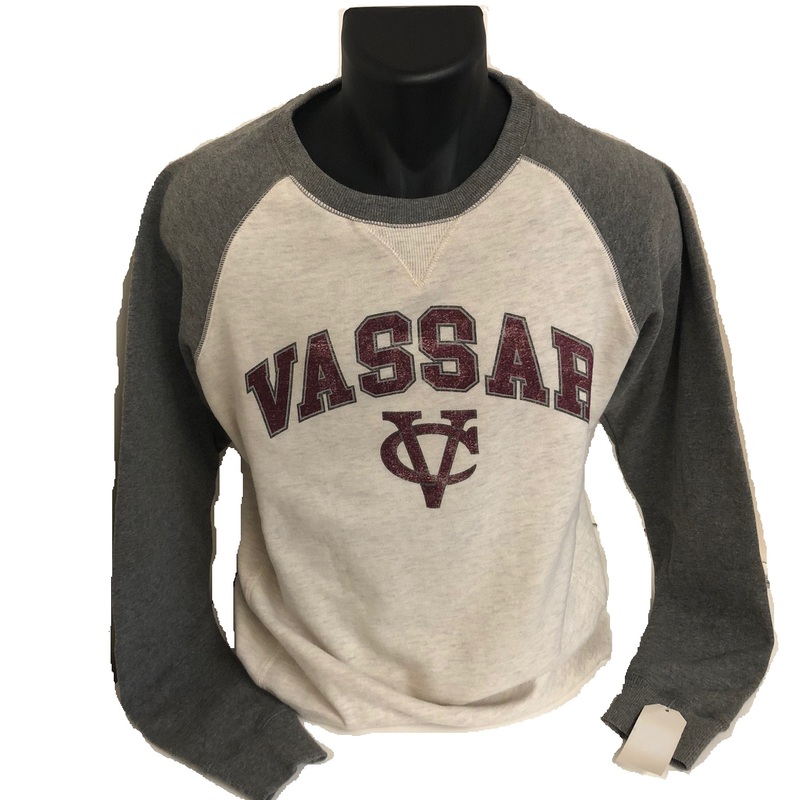 The color is more towards the coral hue than the picture suggests but the combo of that and the gray trim is a winner when you see it frame the Vassar logo. Fabricated in a 60/40 cotton/poly blend. Please select option for CHAMPION TANK TOP. 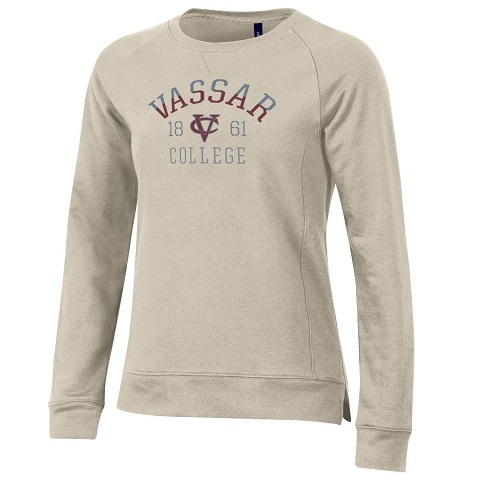 Please select option for CHAMPION VASSAR EST 1861 . This is one of the softest hoodies you'll have the opportunity to wear. its a tri blend of 58/37/5 cotton/poly/spandex. The logo compliments the style perfectly. Please select option for CHAMPION WOMENS HOODIE. Please select option for CHAMPION WOMEN'S SS TEE. Please select option for CI SPORT FITTED JERSEY TEE. Please select option for CI SPORT JERSEY FITTED. 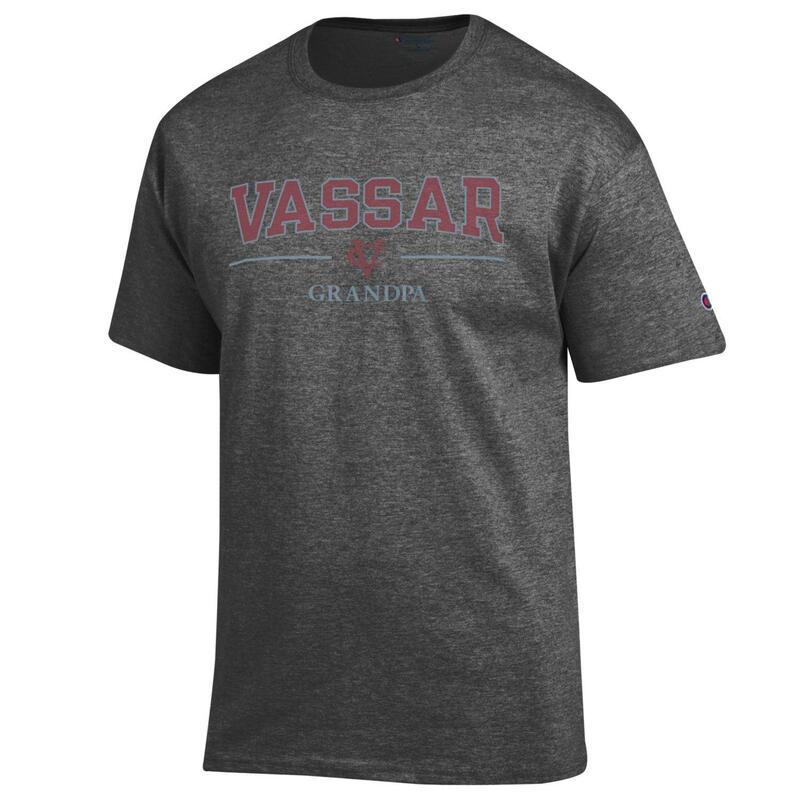 This CI Sport Perfect Crew Neck Tee offers a fresh take on the Vassar Logo, the three color screen print looks great on the heather gray tri bland Tee. Fabricated of 50/25/25 poly/cotton/rayon for exceptional wear and softness. It's flattering to the figure cut is clearly feminine. Please select option for CI SPORT LADIES PERFECT CREW NECK. 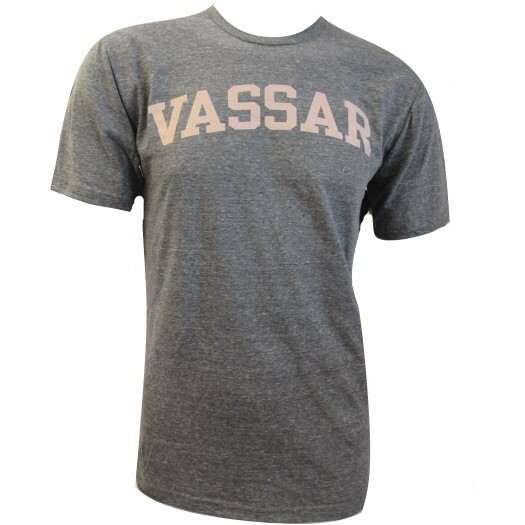 This CI Sport Perfect V-Neck Tee offers a fresh take on the Vassar Logo, the three color screen print looks great on the heather gray tri bland Tee. Fabricated of 50/25/25 poly/cotton/rayon for exceptional wear and softness. It's flattering silhouette is clearly feminine. Also available in a crew neck. 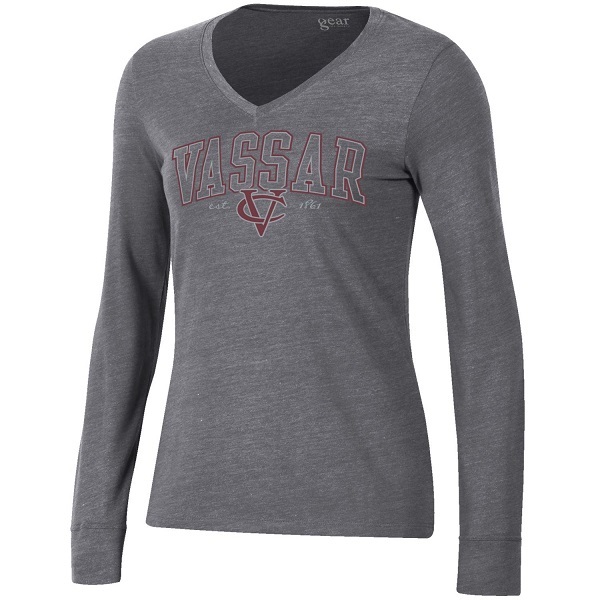 Please select option for CI SPORT LADIES PERFECT V-NECK TEE IN GRAY. Please select option for CI SPORT LADIES WEEKENDER HOOD. 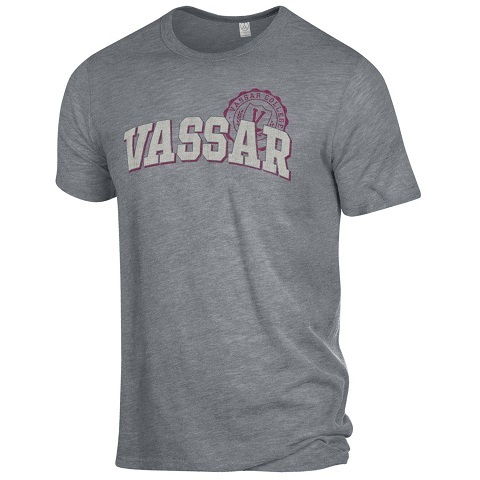 THIS SHIRT FEATURES AN IMAGE OF MATTHEW VASSAR ON THE LEFT CHEST AND MAIN GATE WITH VASSAR ACROSS THE BACK. Please select option for CI SPORT MATTHEW VASSAR. Please select option for CI SPORT POWERHOUSE. 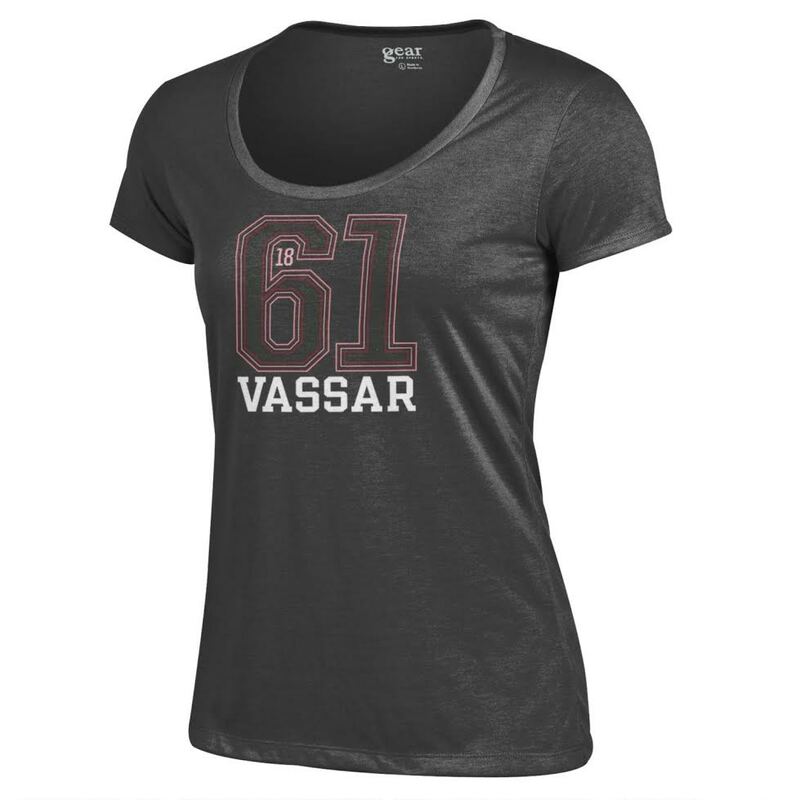 Please select option for CI SPORT VASSAR '61 ASH. 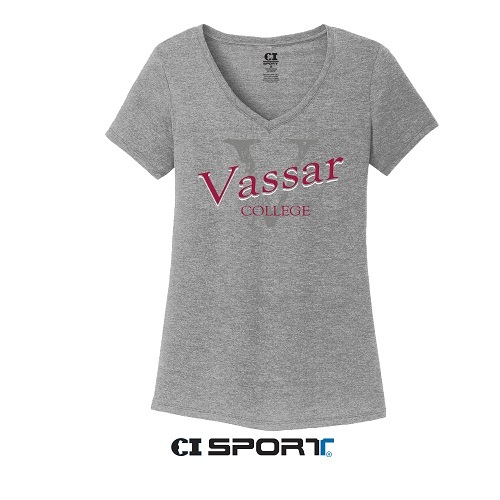 Please select option for CI SPORT VASSAR MOM TEE. Show your Pride with our fresh new design, this short sleeve Tee in a 60/40 cotton/poly blend is perfect for everyday wear. 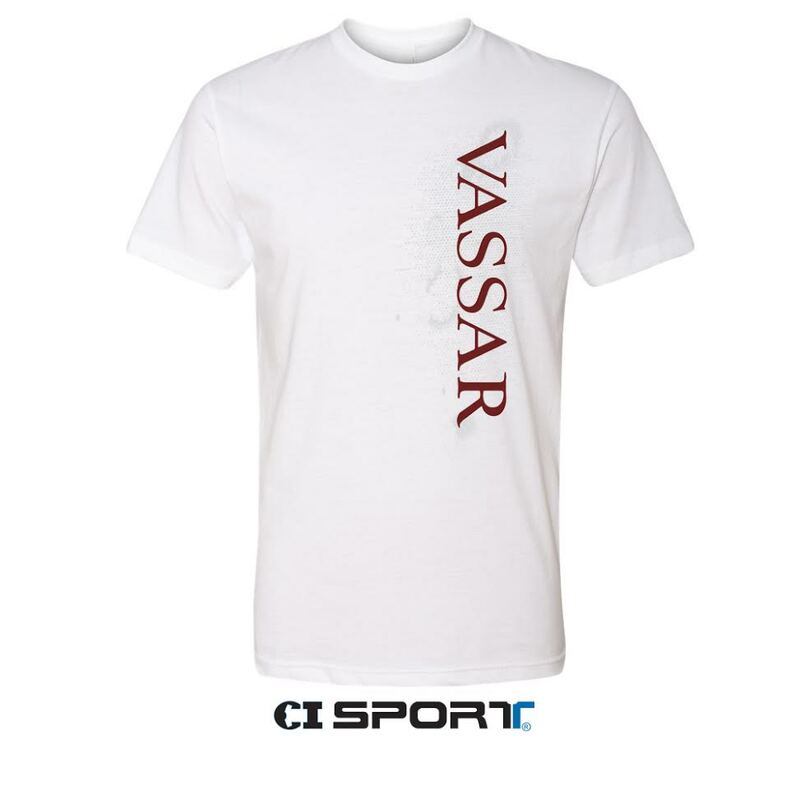 Please select option for CI SPORT VASSAR PRIDE BLUE SS TEE. Show your Pride with our fresh new design, this long sleeve Tee in a 90/10 cotton/poly blend is perfect for everyday wear. 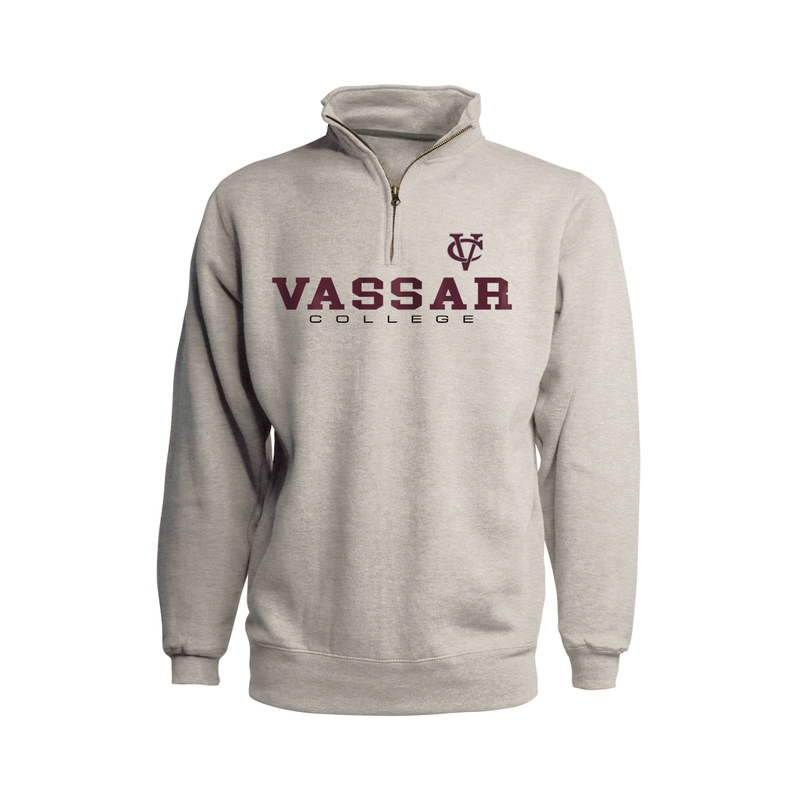 The gray heather fabric makes for a nice contrast with the rainbow Vassar lettering. 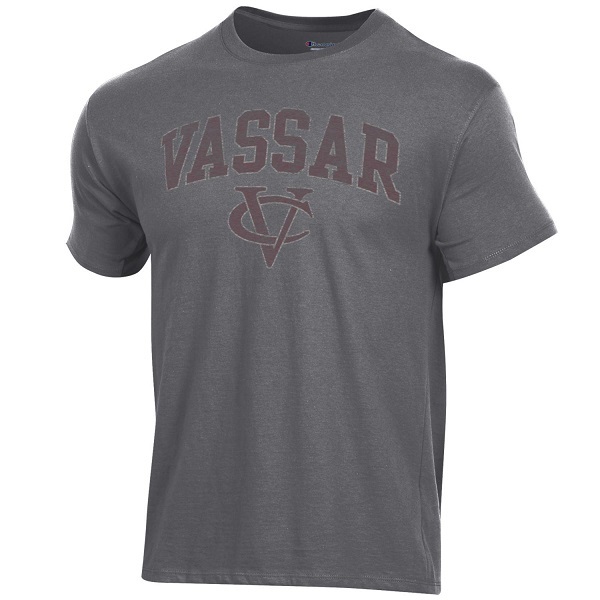 Please select option for CI SPORT VASSAR PRIDE GREY LS TEE. 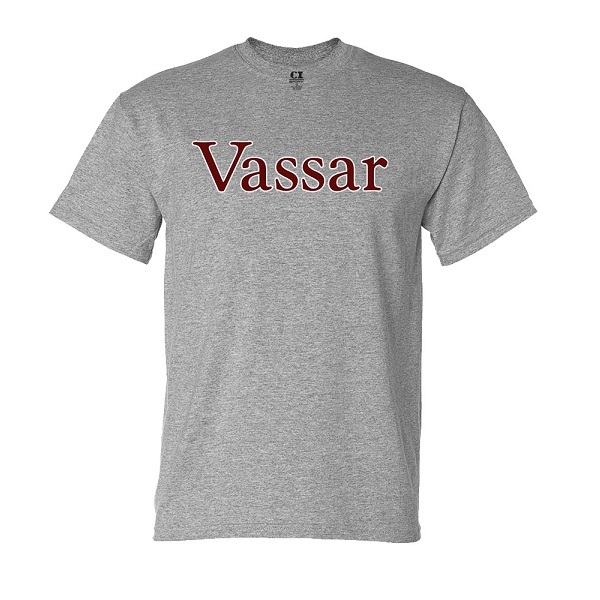 Show your Vassar Pride with this exclusive design by CI Sport. This 100% cotton long sleeve shirt in Navy is the perfect background for the rainbow colors, the interlocking VC logo on the bicep completes the look. Already a staff favorite, this shirt is a conversation starter. 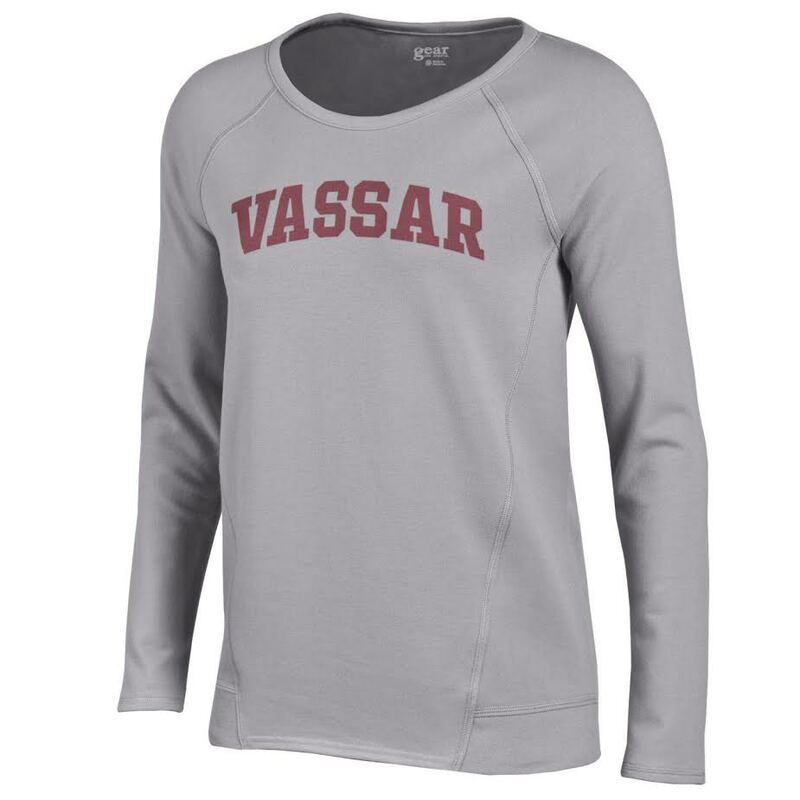 Please select option for CI SPORT VASSAR PRIDE LONG SLEEVE. 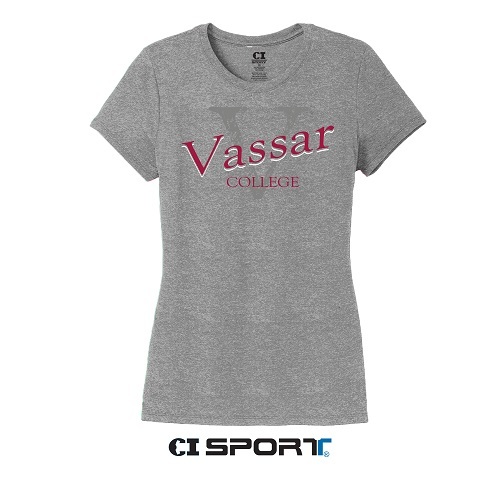 Please select option for CI SPORT VASSAR TSHIRT GREY. 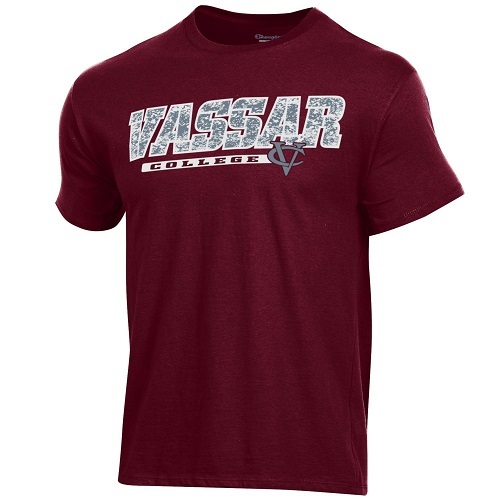 Please select option for CI SPORT VASSAR TSHIRT MAROON. Please select option for CI SPORT VC NEW YORK. Please select option for CI SPORT WHITE SIDE GRAFFITTI TEE. Please select option for CI SPORT WOMEN'S CROP TOP. Please select option for COMFORT COLOR HOODED LS. 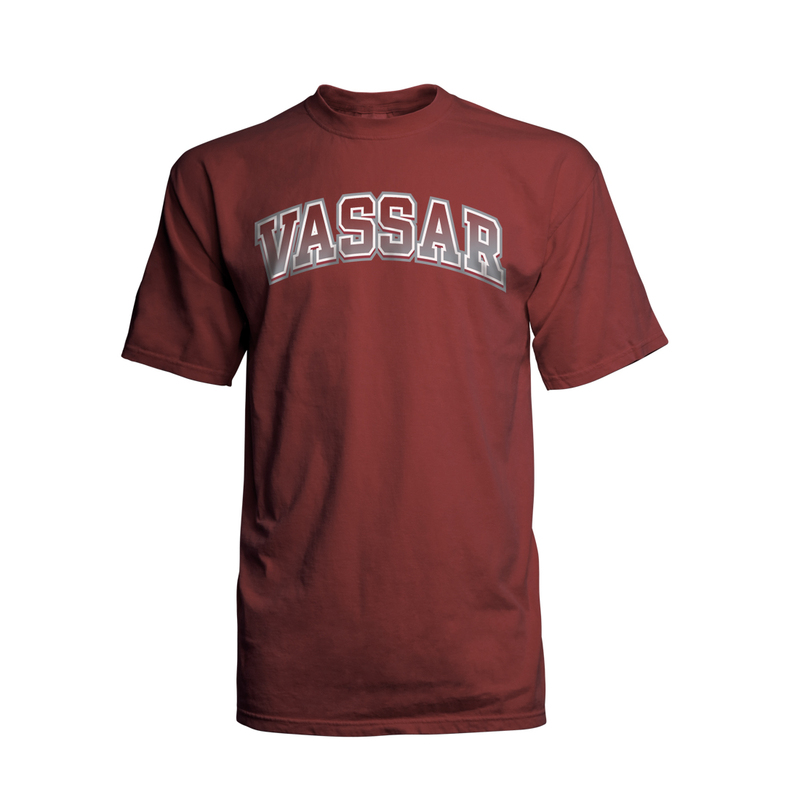 The two color Vassar Arch is complimented by the vintage maroon garment dyed 100% cotton tee. Special purchase, special value. 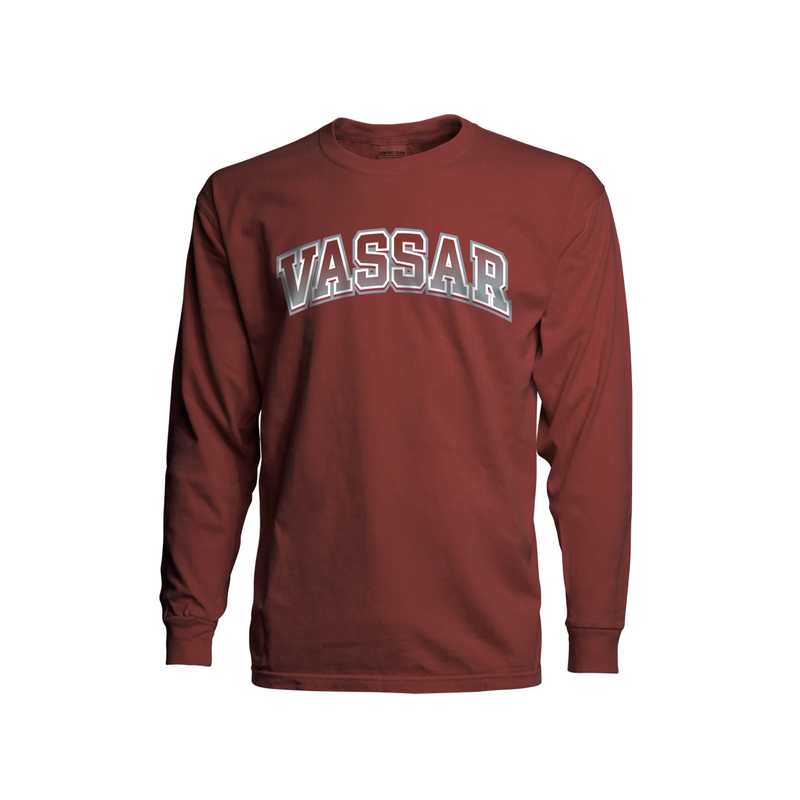 Please select option for COMFORTCOLOR LS Vassar Tee. 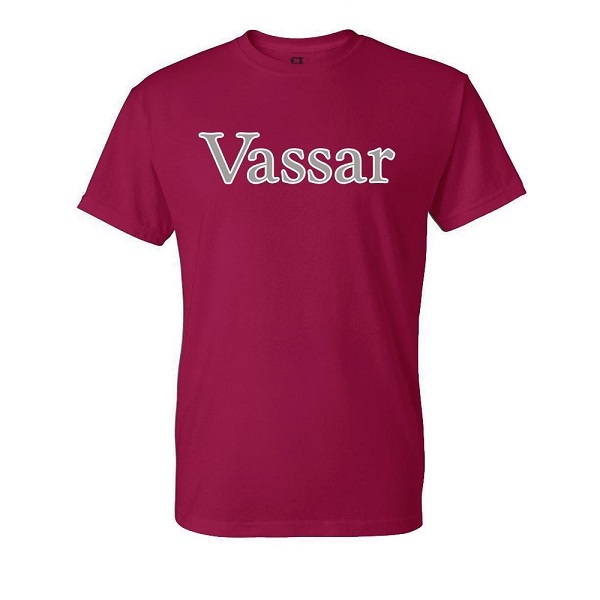 Please select option for COMFORTCOLOR SS Vassar Tee. The GEAR Baseball T-Shirt has a slub texture. 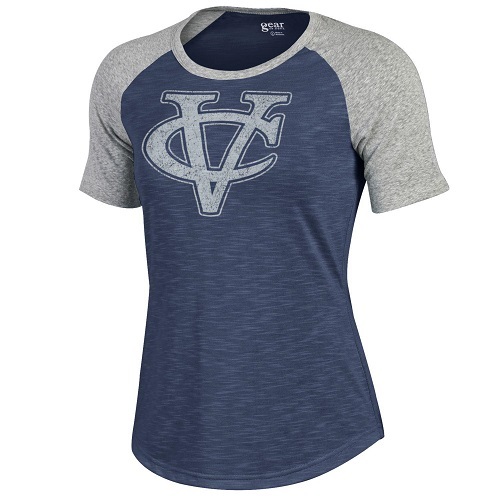 The Gray distressed VC is striking against the blue and gray Shirt. Crafted of a blend of 70% poly and 30% Rayon. This Tee is a home run! Please select option for GEAR BARELY BASEBALL T-SHIRT. 100% USA Grown Ring Spun cotton creates a comfortable fabric for the custom distressed graphic in two locations. 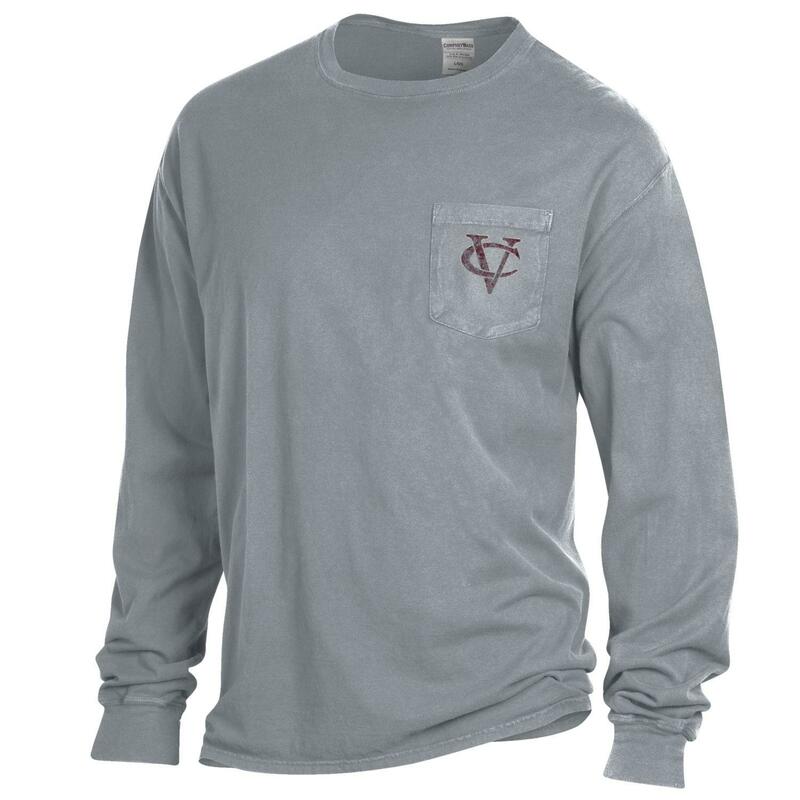 This long sleeve Tee features an interlocking VC on the pocket and a custom graphic on the back. Please select option for GEAR COMFORT WASH LS POCKET TEE. 100% USA Grown Ring Spun cotton creates a comfortable fabric for the custom distressed graphic in two locations. 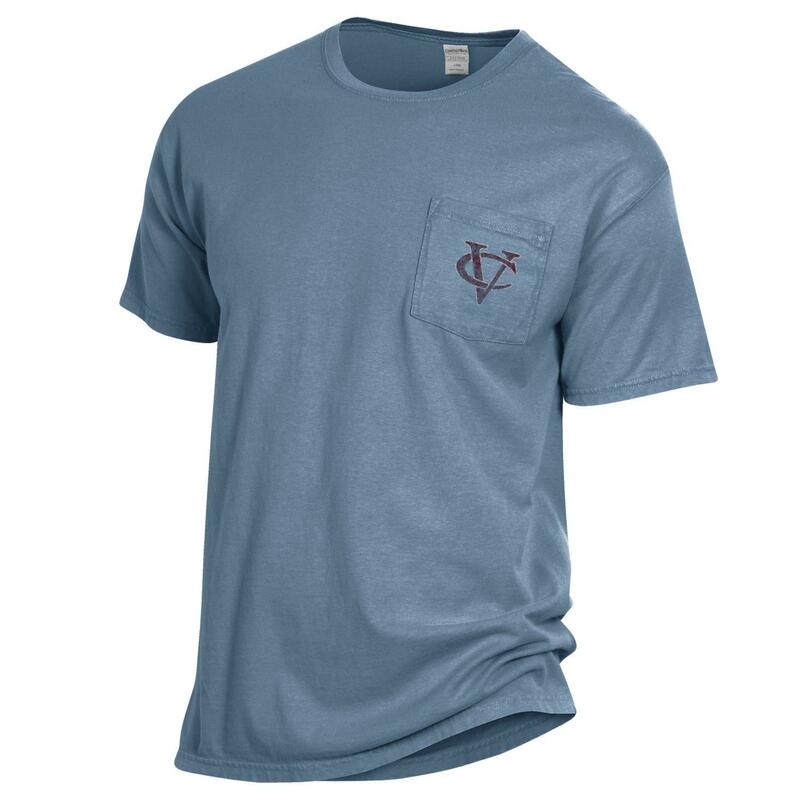 This short sleeve Tee features an interlocking VC on the pocket and a custom graphic on the back. Please select option for GEAR COMFORT WASH SS TEE. Please select option for GEAR COMFY CREW GRAY OR BLACK. GEAR makes quality garments and once you feel the softness of this V neck Tee you'll become a believer. 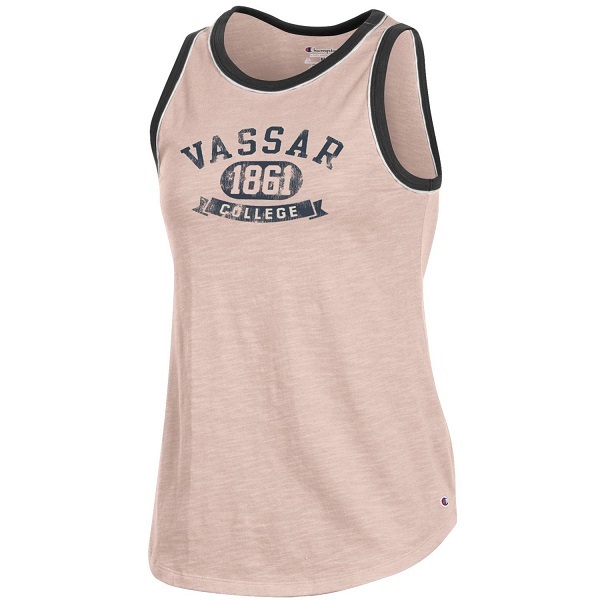 The pretty Lt pink is complimented by the Lt gray Vassar lettering with white outline. This is 100% cotton! Please select option for GEAR MIA V-NECK PINK TEE. Please select option for GEAR TOUR TEE. Please select option for GEAR WOMENS GRAY 1861 TEE. 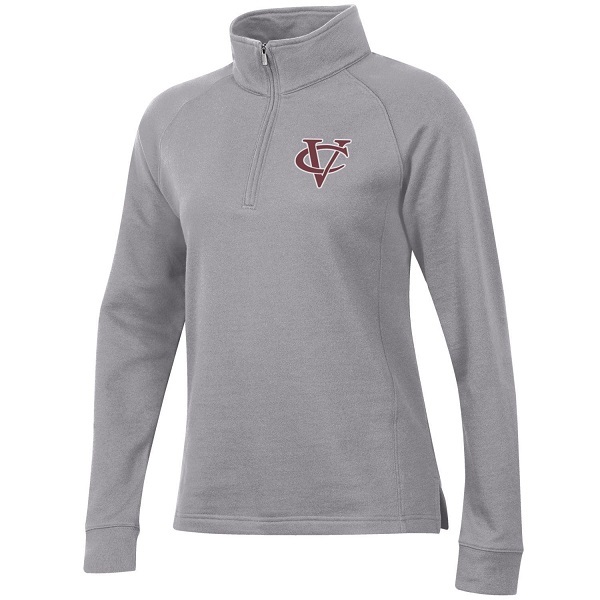 A relaxed fit Womens funnel neck 1/4 zip by Gear in a 75/25 cotton poly blend features a simple two color interlocking VC. It can be worn alone or layered. The fabric weight is just right for three season wearing. Please select option for GEAR WOMENS RELAX 1/4 ZIP. Please select option for GEAR WOMENS RELAX FLEECE. 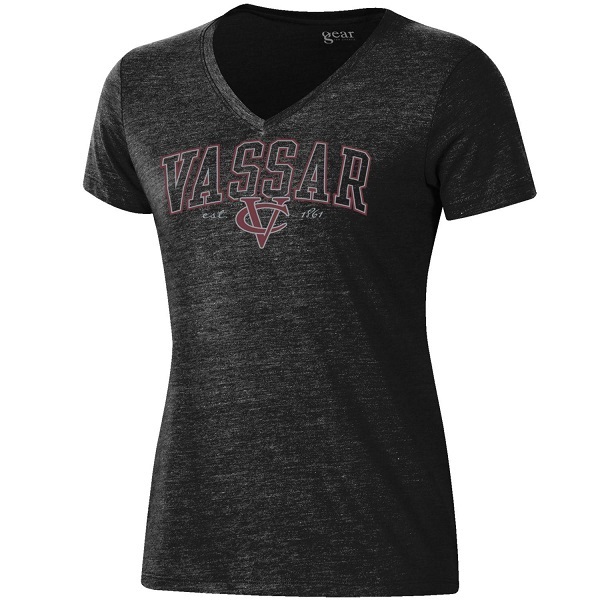 V necks are very popular with our students and this GEAR Relaxed Tri Blend Tee in a 50/38/12 poly/cotton/rayon is super soft and flattering. The logo is fresh and perfect for showing off your pride. 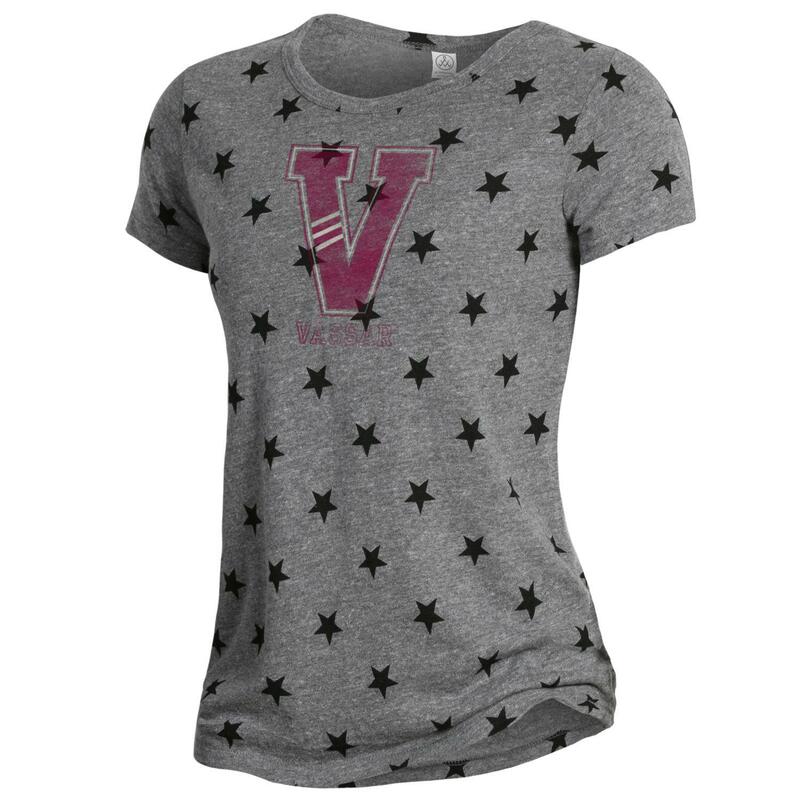 Please select option for GEAR WOMENS RELAXED FIT TRIBLEND SS TEE. 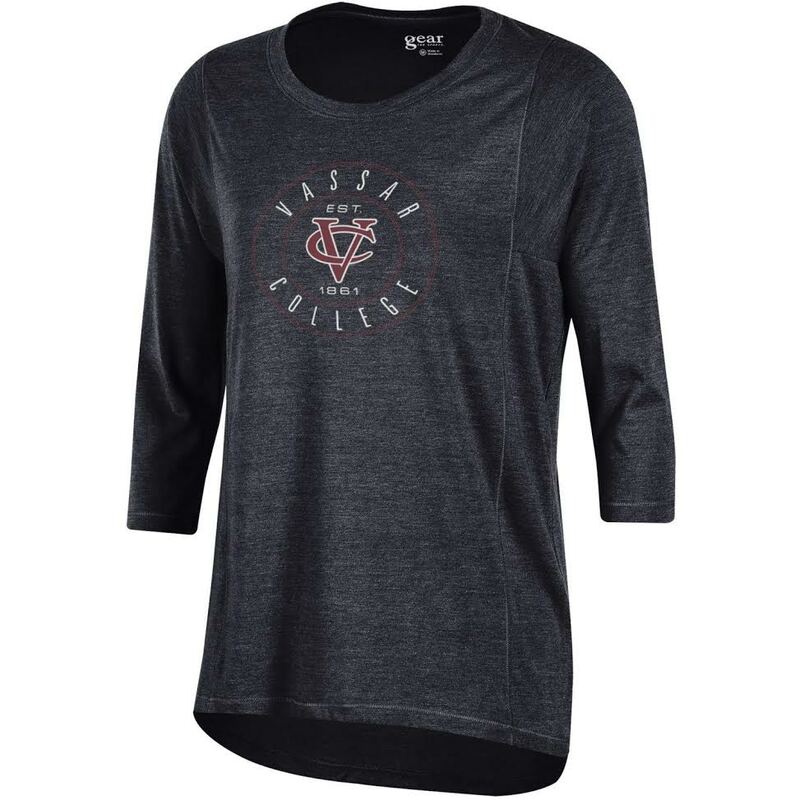 V necks are very popular with our students and this GEAR Relaxed long sleeve Tri Blend Tee in a 50/38/12 poly/cotton/rayon is super soft and flattering. The logo is fresh and perfect for showing off your pride. Please select option for GEAR WOMENS RELAXED TRI. GREG NORMAN Ladies Pro-Series 1/2 ZIP Heather gray pullover, Fitted performance garment, perfect for the golf course or an evening out. the embroidery is understated and elegant. Please select option for GREG NORMAN 1/2 ZIP. 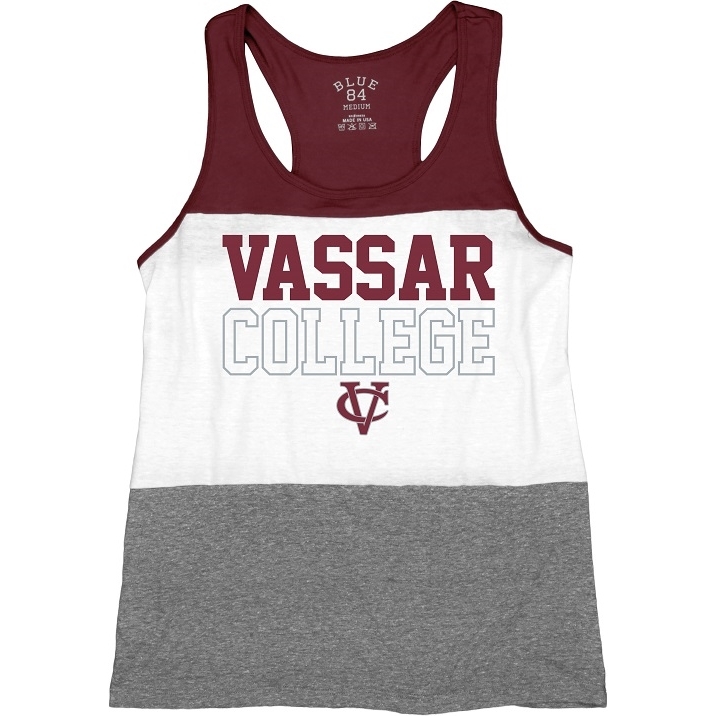 The Maroon and white color block are the perfect frame for the simple interlocking VC. This is a great looking women's polo fabricated in a performance fabric. This 100% garment features dry-excel technology to keep you dry. 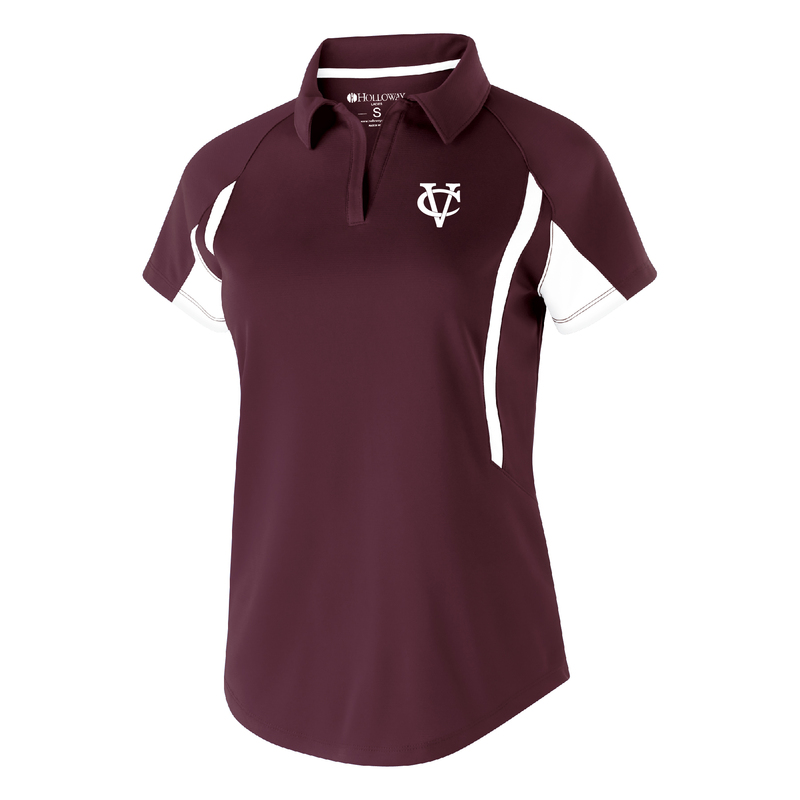 Please select option for HOLLOWAY WOMEN'S AVENGER POLO. 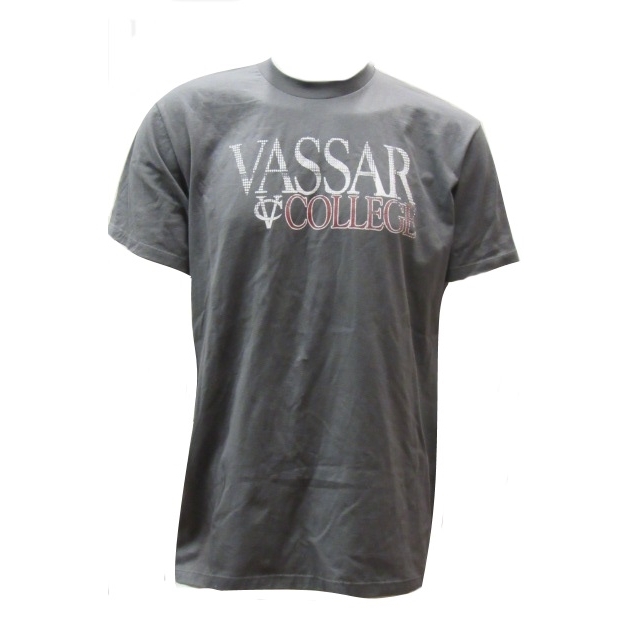 The distressed Vassar logo is set against a heathered gray fabric. 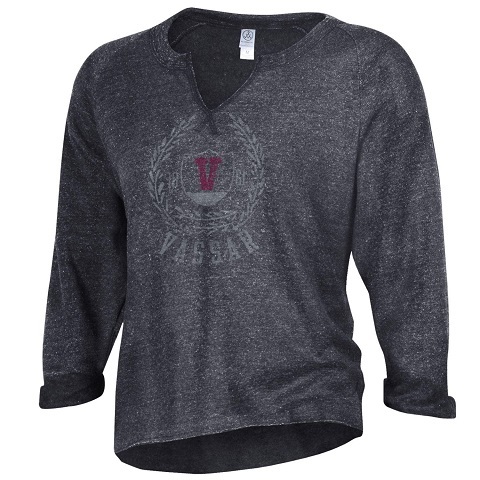 This long sleeve tee's softness is all due to its 50/38/12 Poly/cotton/Rayon Tri blend. 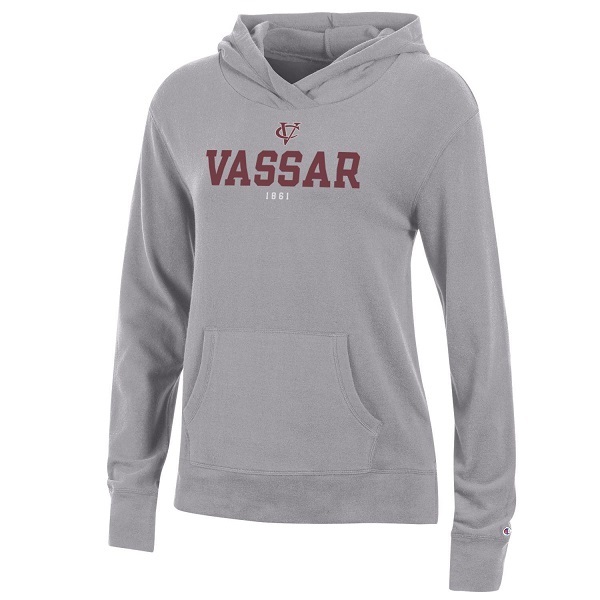 A stand alone piece or great for layering under your Vassar Hoodie. Please select option for J AMERICA LONG SLEEVE TEE. Please select option for J AMERICA VINTAGE SUEDED FRENCH TERRY CREW. 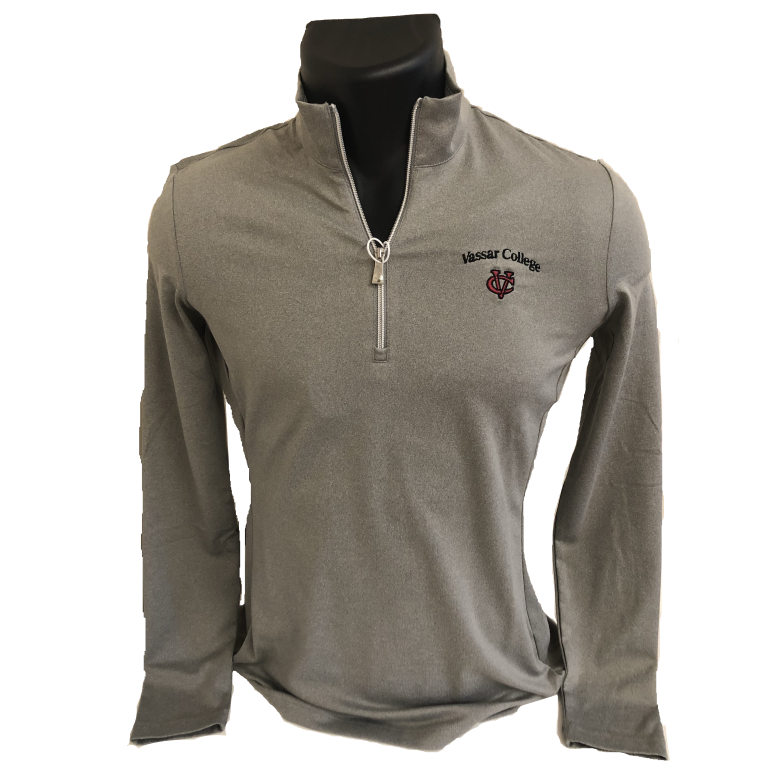 A 1/4 ZIP that features embroidery and applique against an oatmeal fleece. The 80/20 cotton/poly blend is soft and comfortable. Please select option for J. AMERICA CLASSIC 1/4 ZIP. 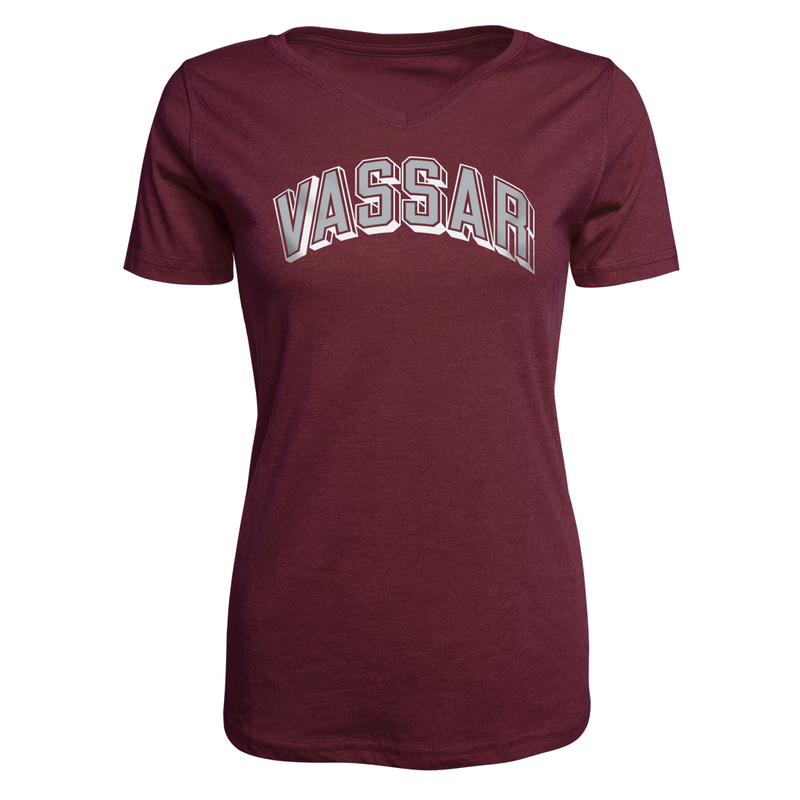 Womens heathered maroon Tri blend short sleeve V neck Tee. 30/35/35 cotton/poly/rayon blend, very soft and comfortable. Please select option for J. AMERICA WOMENS TRI BLEND TEE.